Romance is often a defining part of any teen's adolescent years, but sometimes it can be pretty confusing. Scratch that—it's really confusing—especially during times in our lives where we may feel pressured to either find a girlfriend or face complete social ridicule. When all the guys around us seem to be in a relationship already, nobody wants to be known for not having a girlfriend. While it's true that most of us are living in a culture where dating different girls is as normal as choosing tacos or burgers, a Christian man should put a lot more thought into the woman he chooses to date. What's the first thing we should look for in a girl? What's the first thing that should draw you to her? The world says it's her attractiveness—if she fits your ideal look. But the Bible tells us that God is attracted to the heart (1 Samuel 16:7), so we should first be attracted to her love for God. A godly woman will be dedicated to the Lord and show the fruits of the spirit (Proverbs 31:30; Ephesians 5:1-2). "The fruit of the Spirit is love, joy, peace, patience, kindness, goodness, faithfulness, gentleness, self-control; against such things there is no law" (Galatians 5:22-23). For teenage boys especially, we tend to focus on appearances alone, but as followers of Christ, we are instructed to do more. Scripture tells us that God looks past the body and into the soul instead (1 Samuel 16:17). As servants of God, we should try our best to emulate this as well. Not only that, but a major part of being a Christian is to try and disconnect from the flesh and focus instead on the spirit. Is she kind? Is she generous? Does she put others before herself? Is following Christ one of the most important things in her life? Ephesians 4:32 says, " Be kind to one another, tenderhearted, forgiving one another, as God in Christ forgave you." If we let our interest in a girl be driven solely by her pretty face, we're not only objectifying her, we're being offensive to God (Matthew 5:28). This is not to say that beauty is a bad thing to take into account when dating someone we like, it just shouldn't be the only thing we look at. Her faith should be the most important deciding factor. 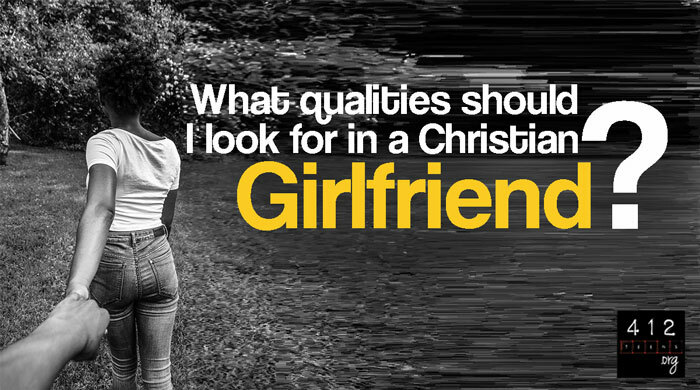 The second most important thing to consider when looking for a Christian girlfriend is if she's someone you can see yourself marrying. Contrary to popular belief, dating isn't a pastime we should just do for the heck of it. It's more of a trial run for the next step in a monogamous, Christ-centered relationship, and should not be done without godly intentions. Dating is serious business, so if either you or the girl think of it as a game, then it's probably time to end that relationship. A lot of what your search will come down to is looking for a godly woman. While the Bible doesn't specifically talk about ideal girlfriends, God's Word does discuss the traits of a godly woman. A godly woman is virtuous, kind, willing to sacrifice for those she loves, and faithful to God (Proverbs 31:10-31). She will care deeply about following God's will for her life, and her words and actions will match that desire. A godly woman will want to remain sexually pure (1 Thessalonians 4:3–7). One of the most toxic problems in modern dating culture and one of the most critical things to watch out for is when the person you are interested in wants to take things too fast physically. If the girl you like wants to go to the next level before you are married, then she probably isn't the right girl for you. See, lust is a major deal breaker in Christian dating. Instead of giving in to temptation, both you and your potential girlfriend should value purity and wait until marriage before things turn physical. Of course nobody's perfect. Have grace and don't judge girls too harshly. After all, it's pretty likely that you have some flaws of your own. (Don't we all?) No one can meet every criterion that God has laid out for us (Romans 3:23). We can't expect everyone to meet a standard we could never meet ourselves. That said, a Christian girlfriend should still be willing to listen to God and follow His will for her life, even if she struggles in some areas. Even if you think you've found the perfect, godly girl, you need to make sure you understand whether or not she's interested in you. Is she already your good friend? Is there chemistry between you and her? Does she enjoy spending time with you? Does she answer your texts? Does she laugh at your jokes, make you smile, and encourage you? Are you excited about doing the same for her? If the answer is yes, that's great! If the answer is no or you're not sure if she's interested in being friends and/or dating, you must respect that and back off. Both members of a relationship should contribute a deep sense of care and affection about the potential partnership, which means that neither you nor her should feel disdain or scorn toward the other. There may be conflicts during the time you are together—even the most godly couples will argue on occasion. But how you come out of those conflicts is what counts. Resolving conflicts can make a couple stronger if they are handled well. However, if any amount of contempt or anger lingers afterward, the relationship should probably be put on hold or ended entirely. God wants each of us to find companionship, whether it is in a spouse or simply in very close friends. Humans are meant to be in community with each other (Ecclesiastes 4:9-12; Proverbs 27:17; 1 Thessalonians 5:11). We were never meant to be islands, alone in the sea of life. If God intends for you to marry, He will bring the right woman into your life. In the meantime, focus on becoming a faithful man of God in order to serve Him and the woman who may someday be your wife. God is attracted to the heart (1 Samuel 16:7), so we should first be attracted to a girl's love for God—not just her looks. A godly woman will be dedicated to the Lord and show the fruits of the spirit, which are love, joy, peace, patience, kindness, goodness, faithfulness, gentleness, self-control (Proverbs 31:30; Ephesians 5:1-2; Galatians 5:22-23). She will put sexual purity high on her list of priorities and expect you to do the same (1 Thessalonians 4:3–7). Of course, nobody's perfect (Romans 3:23), but a Christian girlfriend should still be willing to listen to God and follow His will for her life, even if she struggles in some areas. 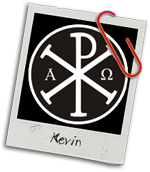 Kevin is a college freshman who is planning on majoring in Christian Theology. As a former Roman Catholic turned Born-again Christian, he enjoys sharing and defending the gospel at any opportunity that arises. Christ saved him when he was dead in sin, and wants nothing more than to see all humanity share in the salvation God offers.